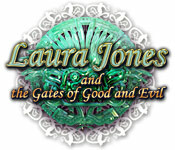 A small section has been added for the fantasy art of Laura Jones and the Gates of Good and Evil, the second adventure in the Laura Jones hidden object game and adventure game series. 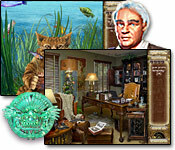 Like The Secret Legacy of Nikola Tesla, we have focussed our fantasy art gallery on the more fantastical items and locations, as most of the locations in the game are mundane, in the game's university campus setting. The Gates of Good and Evil is definitely worth a look for its pseudo-Mayan or pseudo-Aztec artwork/setting, especially at the end, when the game brings you to the 'Gates of Good and Evil' location.